Here’s how to make your dream of fruit-filled baskets a reality. Urban farming is a trending topic, with families wanting to reconnect with nature and reap their own harvest. The good news is that if you have a backyard, you’re already most of the way to having the bounty of your own mini-orchard at your fingertips. And while Edmonton may not be considered to have the most fruitful of climates, a little hard work and a green thumb can turn your garden into a budding oasis. If you’d like even more of a head start at building your backyard orchard, it’s worth seeking out a community that’s designed with this sort of natural beauty in mind. For Edmonton residents, this may mean investing in a home in a community like The Orchards. With fruit and flower trees sprinkled throughout the neighbourhood, culminating in a fully harvestable orchard, your home will always smell sweet and feel calm. 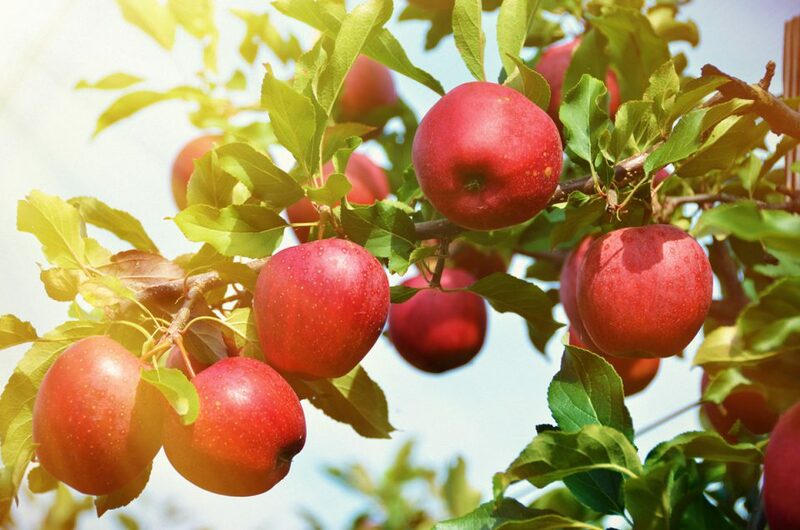 But no matter where you put down roots in Edmonton, here’s what you need to know about starting your very own backyard orchard. The first things you should consider are which kind of fruit you’d like to grow, whether it can grow in the climate local to your area and which rootstock (the stump of a similar species that your sapling will be grafted onto) you’ll be choosing. Some of the fruit trees that grow well in Edmonton are apple, cherry, pear and even plum. But in order to harvest buckets of fresh fruit in your backyard, you need to ensure that you’re planting healthy trees. When purchasing a mature tree, be on the lookout for any evidence of insects, injured limbs or dull, unhealthy bark. Choosing a tree that has plenty of well-spaced branches, particularly at the bottom of the trunk (this helps promote growth and prevent sun damage), is also a great way to set your backyard orchard up for success. Once you have your saplings, you’ll be ready to pick the perfect spot for your orchard. Ensure that the hole each tree is placed in is a foot wider and an inch deeper than its roots and that each tree is spaced two-and-a-half feet away from its neighbours. And don’t forget to mulch! Newly planted trees require mulch to insulate their roots from extreme temperatures, help them retain water and keep weeds out of their growing space. Depending on how your trees were produced, you may also need to stake your saplings to support them as they grow. Containerized and bare-root trees usually need to be staked, whereas balled and burlapped (B&B) trees that have had their roots bound are often able to stand on their own. Of course, the safest bet is to give all your plant friends a little extra support. Watering and pruning are also crucial components of tree care. During the first two growing seasons, your trees’ roots will need to be kept moist in order to encourage growth and establishment. Usually about 30 seconds of watering with a garden hose is enough to dampen the soil, but not make it soggy. 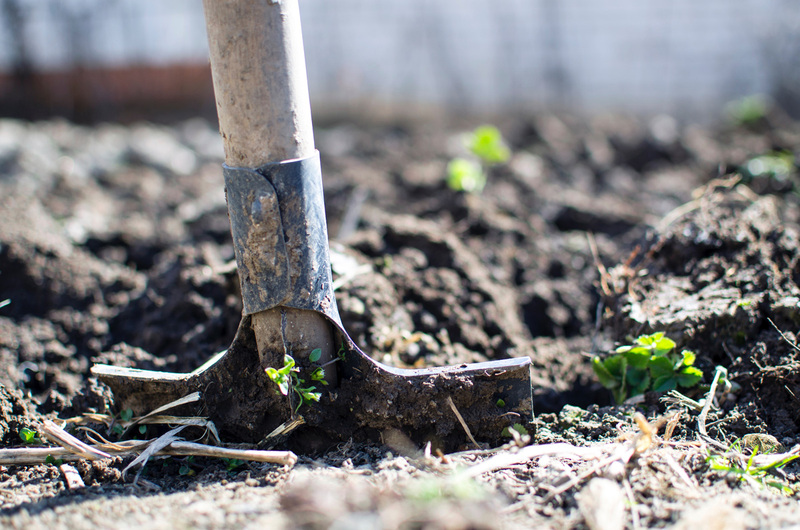 You can determine your soil’s moisture by sticking a garden trowel 2 inches into the soil and moving it back and forth to create a small fissure. If the soil in the fissure is moist to the touch, the tree doesn’t need any more water. In terms of pruning technique, it’s best to work from the top down and ensure that the leaves are left intact in order to help the tree absorb nutrients. The first time you prune your tree after it’s planted in late spring, you’ll have to cut it down exponentially – if it’s already about five feet tall, you’ll be making a “heading cut” above the branches (if possible) that reduces it down to knee height. This keeps it reasonably sized when it begins to mature so that when the summer rolls around, all you have to do is prune unwanted branches. The branches that you should be removing are those that are broken, damaged by insects or compete with the leader (the primary offshoot of the trunk). Following these tips should ensure that your trees are well on their way to producing fresh, delicious fruit. Joining a community like The Orchards is the perfect way to jump-start your backyard orchard goals. Characterized by tree-lined streets, walking paths, ponds and parks, and complete with its own large harvestable orchard, this development is utterly unique in its commitment to an environmentally-connected way of living. A brand-new move-up show home, the Elias, is also going to be on the market soon and is an enticing home ownership opportunity for anyone hoping to grow fruits and veggies in their own backyard. Get a sneak peek at the Elias and other Brookfield homes at their summer BBQ, happening June 2.